Warning, this is a very long review. This is a compilation of 10 games (I’m playing the 1.0.1 version) where each game is claimed to be full high-polished games. Of course, I’m here to see if this is true by reviewing each game. Brought to us by Triniti Interactive Limited, Gamebox 2 is available on the iPhone, iPod touch, and iPad for $2.99. This is a sequel to All-in-1 Gamebox which contains 36 other games. Let me start by commenting on all the apps at the same time: All the games in this app have really good art, sound design, and each game definitely has a lot of work put into them. For this review, I’ll be once again going over all the individual apps, and I really don’t want to repeat that the graphics are nice over and over again. So what does that make this app in total? 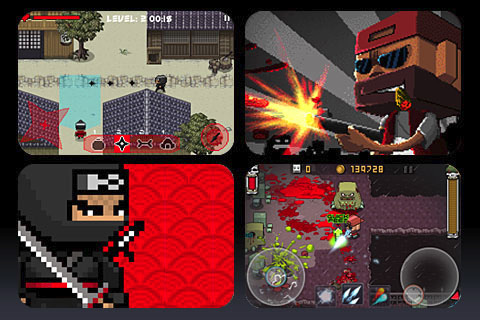 You got yourself 4 excellent games in Coast Super Combat, Pixel Ninja, Bowman War, and Death Knight. There is only 1 really bad game in my opinion, which makes 9 out of 10 games that are really playable. I was honestly very surprised. Woot, this was a 10 game review in one! Overall, GameBox 2 is an excellent deal for the many quality games it actually presents. I was pleasantly surprised since my review of 71 in 1 GameUtilities and I will definitely be looking forward to the promised new games coming in version 1.1. Look for it as well and definitely try this app out for yourself. 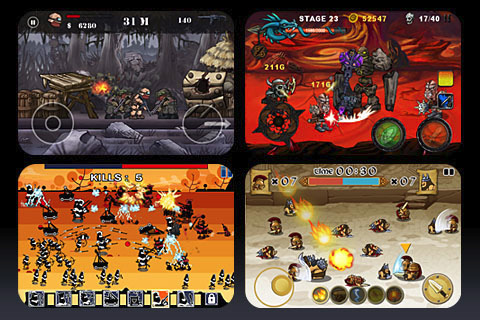 AppSafari review of Gamebox 2 was written by Joseph Ho on November 12th, 2010 and categorized under Action, App Store, Beat-em Up, Featured, Fighter, First Person Shooter, Fun, Games, Line Drawing, RPG, Scrolling Shooter, Strategy, Tower Defense. Page viewed 4806 times, 2 so far today. Need help on using these apps? Please read the Help Page.